Is there any openmanage software that integrates with vmware as well as hyper-v virtual environments? Since there are no hardware items to report on, no array controller, no fans, etc. No Dell drivers for NIC's or anything else, not sure what value there would be other than a simple up/down ping. We handle that via a different alerting tool. Not sure but I think you are looking for. The OpenManage Integration for VMware vCenter is designed to streamline the management processes in your data center environment by allowing you to use VMware vCenter to manage your entire infrastructure - both physical and virtual. From firmware updates to bare metal deployment, the OpenManage Integration will expand and enrich your data center management experience with Dell PowerEdge servers. Dell Server Management Pack Suite offers monitoring of Dell server hardware – Dell PowerEdge Servers, Dell PowerVault NAS, Dell Remote Access Controllers (DRAC), Chassis Management Controllers (CMC) through System Center Operations Manager and integration with various Dell tools. The management pack suite provides Dell-specific views that you can use to observe and drill down the system inventory, status and performance in a network. The suite includes agent-free out-of-band monitoring that leverages the embedded server management features using iDRAC with Lifecycle Controller to enable monitoring of a server without the need for an OS agent. The Dell EqualLogic Storage Management Pack Suite for Microsoft System Center Operations Manager enables monitoring of Dell EqualLogic PS Arrays on System Center Operations Manager. The Management Packs provide a list of Dell-specific views that you can use to observe and drill down the system status in a network. The Dell MD Storage Array Management Pack Suite enables Operations Manager to discover and monitor the status of Dell PowerVault MD Storage Arrays, on a defined network segment. This representation includes the receipt of alerts and pre-failure alerts with the ability to drill down to each hardware component from the overall Dell hardware health, and allows Dell customers to assess, respond to, and ensure availability of Dell Storage systems monitored in the Operations Manager environment. In addition to improved availability, the Management Pack enhances the ability to monitor and manage the hardware in a single management solution. The Dell Printer Management Pack enables Operations Manager to discover and monitor the status of Dell Printers, on a defined network segment. This representation, which includes the receipt of failure and pre-failure alerts, allows you to assess, respond to, and ensure the availability of Dell Printers monitored in the Operations Manager environment. The Dell Client Management Pack for Microsoft System Center Operations Manager provides monitoring in Operations Manager for Dell Business Client Computers (Latitude, Precision and OptiPlex) running Dell OpenManage Client Instrumentation (OMCI). Use System Center Configuration Manager to provide more effective IT services by enabling secure and scalable software deployment, compliance settings management, and comprehensive asset management of servers, desktops, laptops, and mobile devices. Dell Server Deployment Pack (DSDP) automates bare-metal configuration and deployment of a variety of Microsoft Windows operating system versions (leveraging PxE-based OS deployment) and applications from a central location to PowerEdge servers across enterprise networks. 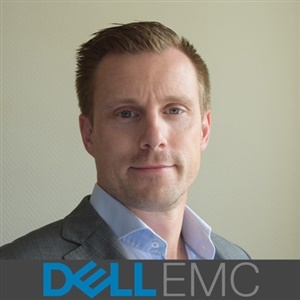 Dell Lifecycle Controller Integration for Configuration Manager (DLCI) provides agent-free, OS and hypervisor agnostic configuration and update of Dell PowerEdge servers. Through automated processes, IT Administrators can reduce steps, time, and cost in configuring servers from a bare-metal state and preparing remote 1-to-Many operating system (OS) deployment. Virtual Machine Manager (VMM) is a management solution for the virtualized datacenter, enabling you to configure and manage your virtualization host, networking, and storage resources in order to create and deploy virtual machines and services to private clouds that you have created. Dell Lifecycle Controller Integration (DLCI) for Microsoft System Center Virtual Machine Manager helps automate and simplify hardware configuration as well as deployment of operating systems (OS) running on Dell PowerEdge 11g/12g/13g servers. DLCI for SCVMM helps reduce the number of operational procedures and time required in preparing for one-to-many OS deployments. DLCI for SCVMM offers agent-free, out-of-band hardware configuration, patching, deployment and reapply the previous stored system settings through the System Center Virtual Machine Manager console leveraging Dell’s embedded server management technology, iDRAC with Lifecycle Controller. The Dell Server Performance and Resource Optimization Management Pack (PRO Pack) enables System Center Operations Manager and System Center Virtual Machine Manager to monitor Dell systems, and take remedial action when an inefficient system is identified. This enables to proactively manage virtual environments and ensure high availability of your Dell Servers. Thanks a lot for the detailed info. Just a little update on this query. I have deployed and tested Dell management pack for vRealize Operations Manager with Dell OMIVV but it only allows monitoring if servers are ESX or ESXi hosts. Specifically i want my Dell servers (which are Hyper-V hosts) to be monitored in vRealize Operations Manager(vROPS). So I was wondering if there was a management pack or something along those lines that would allow data from Hyper-V hosts to be collected and displayed in vROPS?